Through this project I wanted to show transparency in design and the fashion industry. To reveal the inner makings of a product and show the raw construction. The nature of this bag also brings consumer culture in the fashion world into question. This bag raises the idea that the line between luxury quality and commodity has become quite blurred in todays world. Drawing inspiration from Comme Des Garçons paper and plastic bag and Maison Margiela’s heavily influential deconstructed and re-purposed design methods. The bag features fully functional purposes and can hold up to ten pounds. With adjustable snap closure straps that can be adjusted for wearing over the shoulder or carrying in hand. Also adorned with a functional metal key ring and real red leather suede detail, as well as a Velcro closure. This project was particularly exciting for me since not only did I get to make a physical project, I had full control over the project. 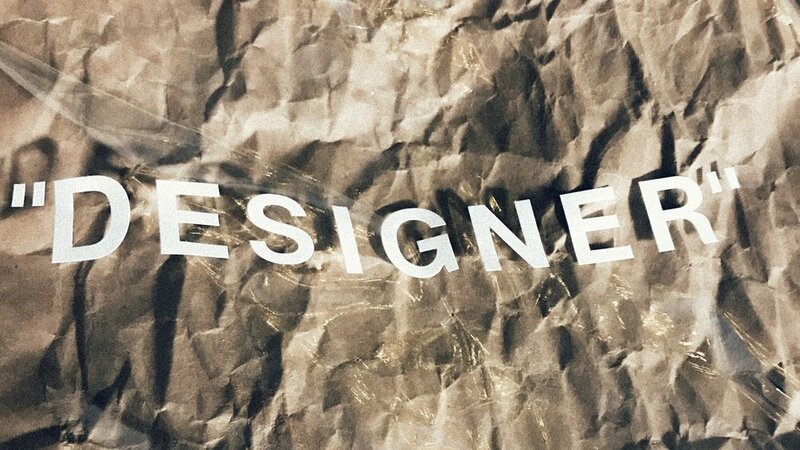 The project entailed just making some sort or bag or box product, and at a time that people like Virgil Abloh were taking over the fashion industry and waste, overproduction, inflated prices, and a major decline in product quality it made so much sense to make a product that challenges all of those aspects in a tongue-in-cheek way. The concept I had on mind is, in todays world what makes a one hoodie cost over a thousand dollars? Does a meaningless word with fake quotation marks make it worth that much? Does the designer who made it, make it that much more valuable? If so why can't I take essentially a paper shopping bag and hand craft it into a transparent raw product that would then make it a "designer bag." So that's exactly what I did. Along the process I spent my time researching designer bags, materials, and functionality features to make a product I would enjoy that followed the ethos I set out to evoke. Another aspect of this project I enjoyed was that I got to art direct the entire project. Meaning after I designed and crafted the bags, I got to scout locations, style a model in vintage Saint Laurent and shoot the product photos as well to showcase my bag in the exact style and context I envisioned. The styling and shoot perfectly showcased my idea of making something so ordinary and transparent into a designer luxury product just based off societal concepts of what wealth looks like.